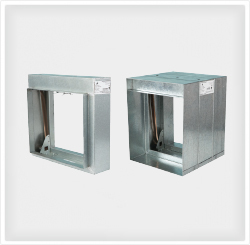 KAD Air-Conditioning produces its range of fire dampers used in HVAC duct systems. Modern era buildings incorporate highly complex and sophisticated infrastructures and designs. Therefore, the occurrence of fire may bring serious loss to human life and property if not managed properly. KAD’s range of fire dampers are designed taking into consideration these complexities and are designed to protect individual rooms or zones by sealing off any supply or extract air.